I’m prepping for tonight’s Twitter Chat. I am in Baton Rouge tweeting from the A+PEL Summer Conference and I want to schedule my question tweets now. I use Tweetdeck to help organize my Twittersphere. I am the moderator for tonight’s #LaEdChat. Wondering what is a Twitter Chat is and how you can participate? A Chat happens when Twitter users meet at a pre-determined time to discuss a certain topic, using a designated hashtag (#). A moderator, @MsBisOnline, poses questions (designated with Q1, Q2…) to prompt responses from participants (who respond with A1, A2…) We’ll be discussing Back to School tips and preparations. Here are my questions for tonight’s chat with links to some of my responses. Q1: What 2 things will you do to PREPARE YOURSELF for the first day of school? I hope that you can join us. Here are some last minutes tips and suggestions. Below is a labeled tweet. If you are like me and need a little wait time, you might want to answer the questions now and schedule your tweets. Each question is scheduled to be published every 7 minutes and sometimes they seem to come at you rather quickly. You can schedule your responses to the questions ahead of time using a scheduler like TweetDeck or HootSuite. Don’t forget to use A1, A2, etc. and #LaEdChat. Feel free to respond with text, images, websites, presentations, videos, etc. The goal is to share your goodies with other educators. 1. Tune into Twitter on Tuesday, July 17th at 7pm. 2. Search for “latest tweets” with the hashtag #LaEdChat. 4. At 7:05 the questions will begin posting every 7 minutes using the format Q1, Q2, Q3, etc. 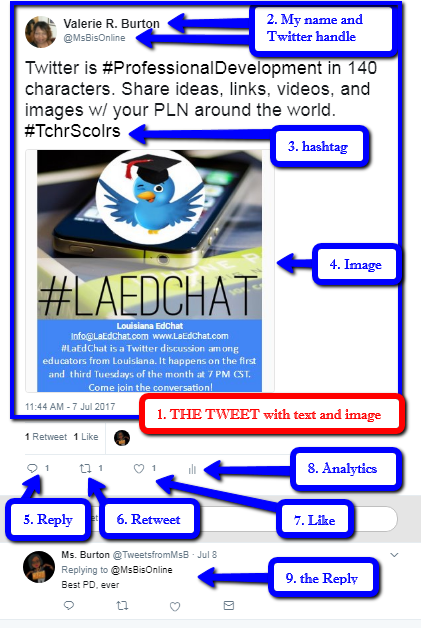 and the hashtag #LaEdChat. 6. Feel free to just read, like, respond to and/or retweet and follow them to build your Louisiana PLN. I hope to see you online soon. 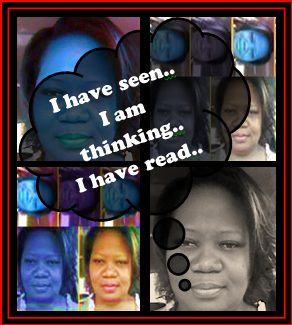 Posted on July 17, 2018 by Ms. B.. This entry was posted in Blogging, Web and Wiki Tools. Bookmark the permalink.